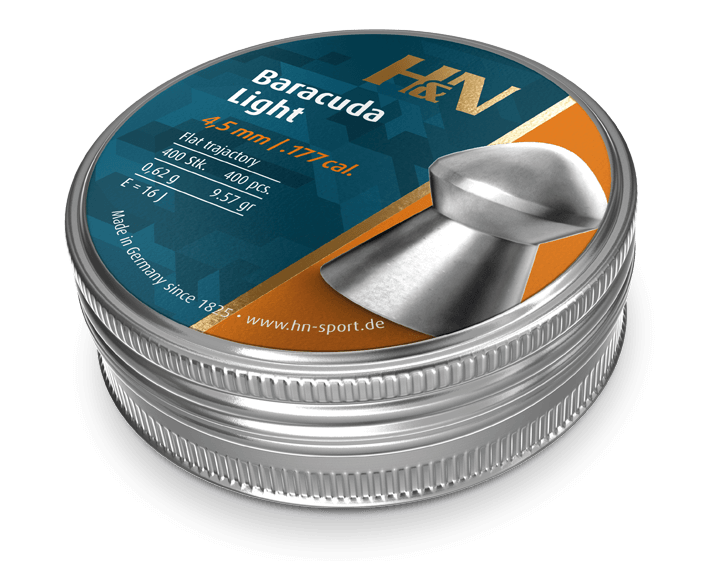 The exceptionally accurate Baracuda Light is the lighter counterpart of the Baracuda Match. The reduction in weight ensures a higher speed and thus a flatter trajectory. Best results are shown in airguns with a muzzle energy of 16 joules / 12 ft.lbs. 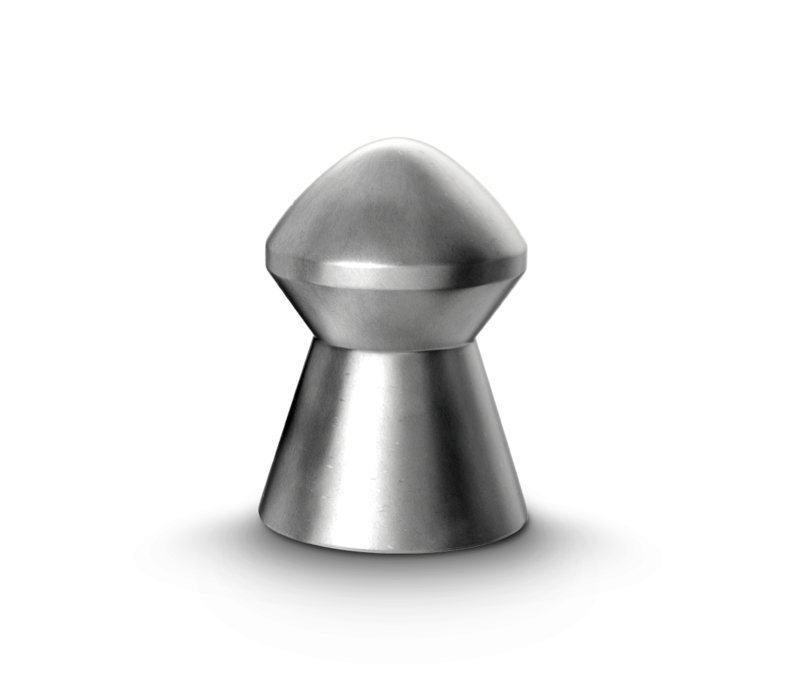 Lowest rate of lead fouling and consistent shot groups are ensured by a special lead alloy. Head sizes available: 4.50–4.51.